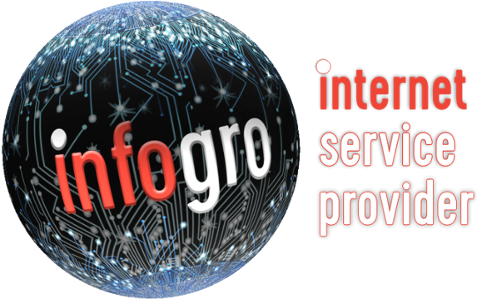 InfoGro - Services. We offer more than just internet solutions. Some of these services are unfortunately not yet available nationally. Infogro is a National ADSL internet service provider, using Telkom’s ADSL and Fibre infrastructure, where available. With a fresh approach to proven technology, Infogro is a must for anyone who is looking for the best. Infogro offers a wide range of ADSL packages for home and business use. Infogro is continually expanding our network footprint within and beyond the Madibeng area. Our FTTx are synchronous packages, which means your upload rate matches your download rate. Our value added services will no doubt improve your overall experience. Infogro offers qualified network installations for our clients, which also include fibre installations and repair. Infogro offers the latest in printers, copiers and multifunctional units. We provide rentals on a “per page” option so that your instalment matches your usage. Our usual partner is HP, with their top of the range Officejet Pro X series. Infogro offers integrated fuel pumps, turnstiles, boom gates, airtime, other ICT systems, smoke stacks, access control systems, cameras, into production CRM and financial systems.